Dr. Welch is a Doctor of Oriental Medicine and a practitioner of Ayurvedic medicine. She is an author of Eastern medicine and philosophy. She has served on the teaching faculty of The Ayurvedic Institute, Acupractice Seminars, and the Kripalu School of Ayurveda. Dr. Welch regularly lectures on Oriental and Ayurvedic medicines internationally. 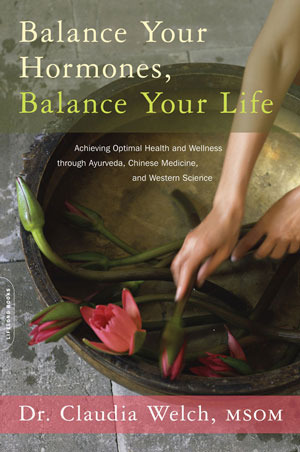 March 2011 marks the release of Balance Your Hormones, Balance Your Life, Dr. Welchs new book, that combines Ayurvedic and Traditional Chinese Medical theory with Western science to provide uncommon insights into hormones, womens health concerns, lifestyle and diet. It is designed to be accessible for all women, and anyone who wants to understand womens health, whether they are students or practitioners of Western medicine, Ayurveda, Traditional Chinese Medicine, or simply of life. Dr. Welch writes and lectures on Ayurvedic and Traditional Chinese Medicine internationally, where she seeks to honor the outstanding teachers she has had the privilege to study with, through sharing the joy of Ayurveda with her students."